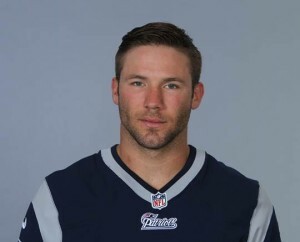 As a receiver and special team return man for the New England Patriots, Julian Edelman shows off his ability to adapt to numerous roles on the field. Sunday at New Hampshire Motor Speedway he’ll be showing he can adapt even when it comes to taking on new roles in big time sports away from the football field. Edelman will be driving the Toyota Camry pace car to lead the field to green for Sunday’s NASCAR Sprint Cup Series Camping World RV Sales 301 at New Hampshire Motor Speedway. Edelman will be put through a mandatory orientation class the morning of the event. Will the Whelen Tour drivers make it back to Stafford for the SK feature this Friday night? Yes. Shouldn’t be an issue. 2:10 green flag for the Shootout with a 30-minute time limit. They’ll probably even make it back for heats. Will the mods be on TV?